Congratulations and best wishes to our most recent graduates! We know they are off to do great things in the world of massage therapy. Stay tuned for 2 MORE classes graduating at the end of this month! The Washington County Fair starts this afternoon and runs through Sunday. We are practicing chair massage in a booth in the Fairpark Pavilion. We are also talking with anyone who wishes to go to massage school. If you are interested in our fall classes you might want to stop by and chat with our instructors and students. You might even want to try a spin on our win-a-free-massage spinning wheel (available random hours). Massage in the chair is $1 per minute. See you at the fair! Congrats to More July Grads! We had the largest graduation party in our history on 7/29 with 14 people completing their programs with us and moving on to professional massage therapy! We congratulate each and every one of them as they move on to their next adventure. See our Quotes & Photos page to read the nice things our graduates say about us! We are now signing up students for our new Fall Accelerated, Day and Night calendars. The sooner you begin, the faster you will be a Wisconsin Licensed Massage Therapist with great job prospects, dedicated clients, and a steady income. Call us for a free tour at your convenience and on your schedule! 262-250-1276. I talk to people everyday who are thinking about massage school. Some have been dreaming about it for years. Becoming a Wisconsin Licensed Massage Therapist can seem fraught with challenges. Putting it off might be easier, but a dream tends to nag us. Just like climbing that mountain up there in the picture, the only way to achieve a goal is to start on the path and tackle one challenge after another until finally you are standing on the summit! You don't climb the Matterhorn without a guide who knows the way. WSMT is here for you, ready to guide you to achieving your dream. Why not take the first step on the path? I interview a lot of people who are interested in massage school. Many of them work behind a computer all day. Some have been in the same job for decades. Why are they attracted to massage work? For many people, the thought of making a direct impact on another person's life is very important. I think they get it right when they assume that this work is very meaningful for clients who get relief from stress and pain when they receive a massage. It is exciting to think about being that facilitator of health and wellbeing for another person. I have had clients who have literally limped in to my office leave with pain-free ease of movement. I have had clients try massage and eliminate the need for a surgery. I have had clients reduce or eliminate medications after incorporating massage into their lives. It's certainly not this dramatic for everyone, but massage is very effective for many. And sometimes it's so satisfying for me, the pay is icing on the cake! Maybe you're tired of the work you have been doing and you are looking for more purposeful work that makes a real difference in people's lives. Join us! ​There is great news I heard the other day: more Wisconsinites are working than recently! We are at 4.5% unemployment (April, 2015). Our historical high was 11.9% in 1983 and our lowest was 3.0% in 1999. So we're doing pretty well. We can see the trend at the school with more interest in night classes again! Many massage schools across the country gave up on night classes in the last few years because they couldn't get them off the ground with enough enrollees. We soldiered on with very small night classes because there were usually a few people who needed them and we didn't want this pool of candidates overlooked. Sometimes people who work full time during the day are worried about having enough energy to get through a class at night even though they really do have a burning desire to become a massage therapist. Let me reassure you that our small, friendly classes and engaging curriculum actually energize you when you come in after a day at work. One of our night class graduates explains his experience as coming home to a family here at the school, where he felt accepted and appreciated. Now that's energizing! If you have wanted to get in on this great profession where you get to use your skills one-on-one with clients seeking your help, we have a night class beginning in October. Your classmates are already signed up for it and we all want you to join in! There is space for you. 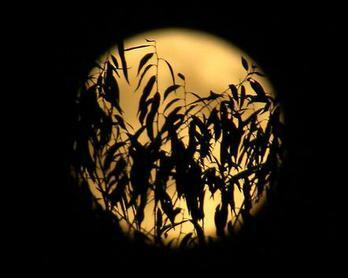 Photo used by permission, thank you Otto Peña! 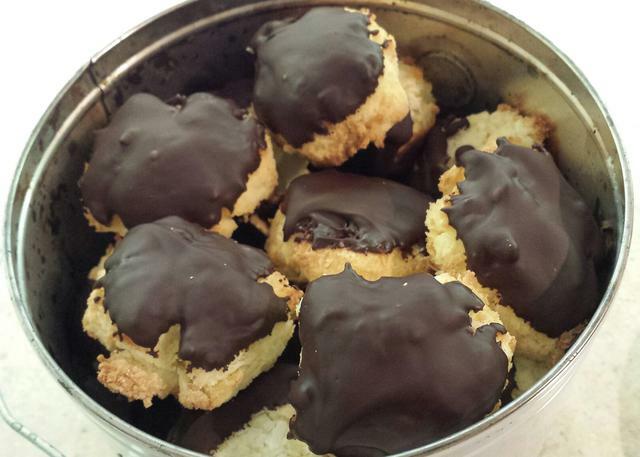 I love the coconut macaroons a local grocery store bakery makes. They are almost so sweet your teeth hurt when you bite into them! So, of course, I crave them. They're also chewy and just really satisfying as a dessert. But I know they have a lot of sugar in them and they use the coconut that is full of nasty chemicals I'd rather not consume. I think they may also have sweetened condensed milk and emulsifiers in them both less than optimal for heath. So I thought, "Why not try making a better version myself?" I came up with these delightful mouthfuls, quite by experiment. So my recipe here is general, you may have to make adjustments to get a dough that sticks together enough. Preheat oven to 325° Mix together eggs and sugar with a fork in a bowl. Mix in vanilla, coconut milk and oil. In another, bigger bowl, toss coconut with coconut flour. Add bowl of liquids and stir with spoon until sticky batter forms. You should be able to form small balls in your hands. If not, adjust with more liquids (coconut milk or oil) or dry ingredients (more coconut or coconut flour) until you can form balls. Put balls on cookie sheets and flatten slightly. Can also be made in mini-muffin pans. Bake for 15 minutes until a bit browned. Cool completely. If adding chocolate dip, melt chocolate chips over bowl of simmering water. Dip macaroons and lay on wax paper-lined cookie sheets. When cool and hard take off and pack into containers. Try not to eat them all at this point! coconut milk - milk, almond milk, etc. powdered superfoods: lucuma, goji berry, maca, etc. ​When you eat one of these after dinner to cap off your day you will feel satisfied. Your body will have gotten some good stuff too. You can have your health and your dessert too! We are now signing up students for our new Night calendar. The sooner you begin, the faster you will be a Wisconsin Licensed Massage Therapist with great job prospects, dedicated clients, and a steady income. Call us for a free tour at your convenience and on your schedule! 262-250-1276. I hacked off my chocolate mint and thyme plants. Washed and spun in the salad spinner, they rest now on the cookie cooling racks. They are headed for the basement to dry. 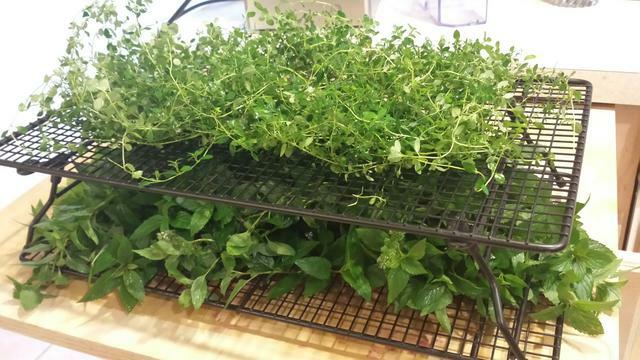 They will become yummy/healthy tea and soup flavoring for cold wintry days. Didn't grow any? Promise yourself to do it next year. You will be glad you did! Healthy Microbiome Class for MTs and Anyone! I'm excited about a new continuing education class we are offering in January. It's all about fermented foods rich in probiotics and how to quickly and easily make them for you and your family. Not only are these foods delicious, but they are loaded with probiotics which boost the functioning of virtually all your body systems. What a great way to start off a new year! Plan now to join us Sunday, January 3, 2016 - 11:00a.m. - 1:00p.m. (Fee $60). Wisconsin licensed massage therapists will gain 3 hours continuing education, but anyone is welcome to join us! Spicy onion-carrot-hot-pepper kraut - yum! In the spirit of the Thanksgiving week, I thought I would write about how thankful I am for massage in my life. First I am thankful for the means to make a living doing this. Clients, students, and staff have been a blessing almost always. When not, truth be told, the challenge has always taught me something and I really did grow from the effort it took to reach a solution. But I revel in the joy of working with sweet people and I've met a lot of them. Even today, while it is an especially busy day, I am unperturbed to go in to the office for a last-minute appointment with a regular client. This proves to me that I'm in the right job. I'm also thankful for the way massage has been a gateway for healthful living practices for me. I cook and eat differently and I exercise much more than I am naturally inclined to do. This progression happened as a result of me entering this profession. I'm also deeply grateful for the escape massage gave me from a job I was doing which had become unsatisfying. To work one-on-one with clients has been just the best experience! Mentally and physically engaging, massage rounded out my desire to help people in a meaningful way. Having my own business within massage therapy gave me freedom of schedule and autonomy I never had in my previous profession. And now teaching has brought me full-circle as I incorporate what I learned from my previous background as well. It's good to stop and take stock of professional life once in awhile. Yes, the massage therapy profession has been good to me. I've never regretted making this professional leap! One book this year has made a big impact on me. 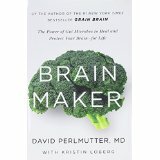 Brain Maker by Dr. David Perlmutter has flipped my thinking on health and prevention of illness. I have read other books by doctor authors which made me question things like gluten in my diet, but because I never seemed to have trouble with digestion, I didn't think this was important for me personally. This book gives the science behind the microbiome of the human digestive system. Dr. Perlmutter explains how gluten and sugar primarily damage the lining of the intestines. This allows materials to exit these organs and travel throughout the body creating inflammation and damage to the brain and other structures. He lays out the studies that show that the condition and make up of the colonies of healthy gut bacteria are really the foundation of many aspects of health. He includes many professional stories of very ill health turned completely around by changing the patients' diets. So, I embarked on a gluten-free existence about the middle of October. I also began fermenting in earnest; something with which I only previously played around. And I have been feeding and caring for my own microbiome since then. I joke that I have another pet around the house! It has been interesting so far. The challenges have been to keep gluten-free bread available since I make it myself. Most gluten-free products in the stores are full of ingredients that are also harmful, so I stick with homemade. I miss crackers and I'm about to try making my own sprouted flax seed version. Christmas cookies have become less important to me over the years anyway, but desserts without flour are tricky. I'll report on my progress here and if you are interested you may want to sign up for my Self-Care: Nurturing Your Healthy Microbiome, Sunday, January 3rd. What a gift to yourself to plan on a healthier 2016! In October I visited Arches National Park. I got to hike to some of the arches there that are only accessible on foot. The stone arches are formed by a huge salt deposit underground that moves and causes the stone to fall out from under the arch. It's interesting how this opens up the rock and allows for a view out through the hole. Walking across the tops of the arches is prohibited due to the danger of continued earth shifting and rock falling. This could be a metaphor for making a life change. Are you in a job that makes you feel unfulfilled? Are you putting in your time, but you know you have untapped talent waiting to be called upon? Maybe the rock needs to fall out from under you so you can get a big wide view of your future. Maybe you need someone to guide you safely through a big life change. We are here for you! They told us at the hospital that many people have some of the symptoms and then tragically decide to go to bed. The time elapses and this drug cannot be used as treatment. Spread the word! 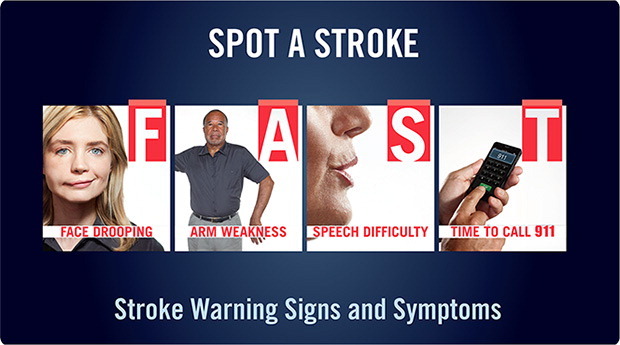 For signs of a stroke call 9-1-1 right away! My family member is fine, maybe due to this treatment received within 90 minutes. This is my best Christmas present already this year! I wish everyone blessings, love, and peace this Christmas and into the new year! Time to Make a Real Change? ​I'm happy to say this has been a good year for my message-writing as I am completing 36 messages with this one. That is a new record for me! And as it will be my last message of 2015 I want to encourage you to look to the new year with hope. Do you make resolutions every year? Do you have dreams of a better life which seem impossible? Do you just want to keep your body covered by a blanket and your head against the soft pillow which seems like the only friendly place? Maybe if you are a dachshund like Charlie in the picture it would be a good idea! But no, you are a fabulously amazing human being! 1. Precontemplation - "I won't." 2. Contemplation - "I might." 3. Preparation - "I will." 4. Action - "I am now." 5. Maintenance - "I am." So if you feel like the health and lifestyle changes you need to make are impossible, you are just in the first stage! You can decide to move to the next stage by getting more information about the change you need to make. Need to quit smoking? Need to lose weight? Need to get more active? Research the different options available, talk to your doctor, stop by a local gym to check it out, get your questions answered. What change do you want or need to make in 2016? You can figure out where you are in the stages of change and decide to move into the next one. A health coach can help you along the way. Soon I'll be available at the school to serve you in this way. In the meantime I pray you are encouraged by the hope a new year brings!